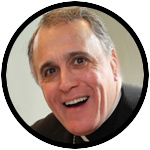 Cardinal Daniel N. DiNardo of the Archdiocese of Galveston-Houston and president of the United States Conference of Catholic Bishops issued the following statement June 13 from Fort Lauderdale, Fla., site of the USCCB’s spring general assembly held June 13-14. The statement was read aloud at the meeting of bishops in response to U.S. Attorney General Jeff Sessions’ decision June 11 that asylum seekers fleeing domestic or gang violence cannot find protection in the United States. At its core, asylum is an instrument to preserve the right to life. The Attorney General’s recent decision elicits deep concern because it potentially strips asylum from many women who lack adequate protection. These vulnerable women will now face return to the extreme dangers of domestic violence in their home country. This decision negates decades of precedents that have provided protection to women fleeing domestic violence. Unless overturned, the decision will erode the capacity of asylum to save lives, particularly in cases that involve asylum seekers who are persecuted by private actors. We urge courts and policy makers to respect and enhance, not erode, the potential of our asylum system to preserve and protect the right to life. Additionally, I join Bishop Joe Vásquez, Chairman of USCCB’s Committee on Migration, in condemning the continued use of family separation at the U.S./Mexico border as an implementation of the Administration’s zero tolerance policy. Our government has the discretion in our laws to ensure that young children are not separated from their parents and exposed to irreparable harm and trauma. Families are the foundational element of our society and they must be able to stay together. While protecting our borders is important, we can and must do better as a government, and as a society, to find other ways to ensure that safety.